In the realm of extreme career changes, Richie Clark’s is right up there. Consider butcher to psychologist. There’s certainly no clear pathway between the two, so three years ago Richie summoned the courage to forge his own. The 26-year-old grew up in the tiny goldfields township of Talbot, population 300. He completed high school at Maryborough Education Centre, before moving to Bendigo to find work. He toyed with the idea of doing a different trade, or even going into business with a mate, but he also had a growing desire to work with people. To help others. 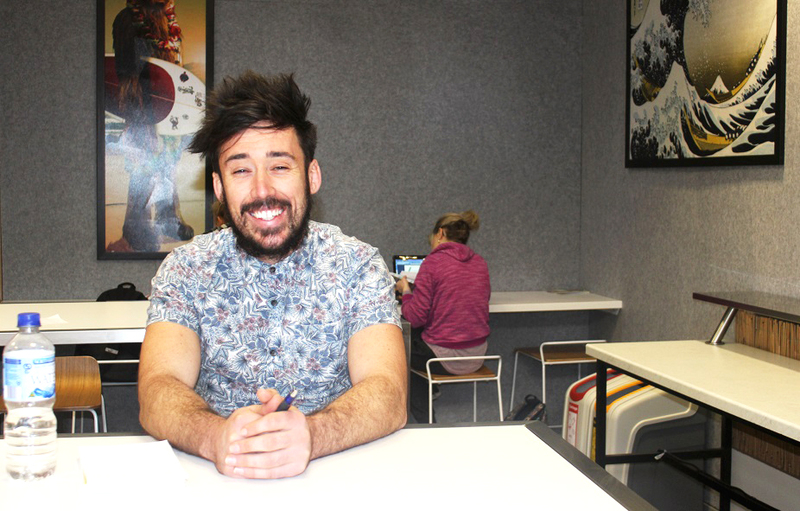 “I came to La Trobe and enrolled in the social work course. I studied that for a year, but I found it was more focussed on global aspects. It was more about societal change and politics and I felt like I wanted to help people on an individual basis,” he says. Richie is speaking from personal experience. “My mum suffers from psychosis and bi-polar disorder,” he says. “I don’t think that was a driving force for me to study psychology, but studying has helped me to understand how things work – although there’s so much we don’t know. He credits personal perseverance, good feedback from lecturers and the support of fellow students for getting him through the first years. He is now seeing his grades increase from mid-60s to the mid-70s needed to qualify for post-graduate study. Great story Lauren. Richie is a good man, I enjoyed watching him grow and develop both in his work, and life itself. I spent time with hi both at Maryborough, and Bendigo. Its great to see him doing so well with something that he loves and is passionate about. Great stuff Richie, and all the best for your dreams. Regards Tom Ryan.